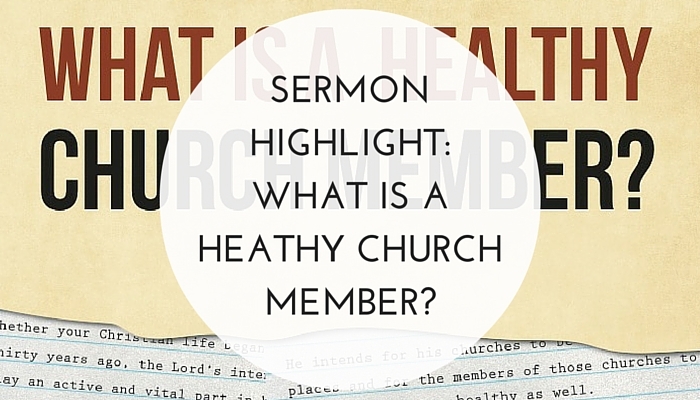 Sermon Highlight: What is a Healthy Church Member? Stephen Watson is one of the pastors of Renewal Church of Anderson, located near Anderson University. The church, approximately two years old, has been walking through a teaching series called “Healthy Church Member”. Using a resource by 9Marks, Renewal is guiding their small groups to consider what it means to be a meaningful part of the local church. In their Sunday services, Renewal anchors each aspect of meaningful membership in a passage of Scripture and the elders consider the theological and practical basis of each idea. Recently, Stephen taught Matthew 18 and considered the role church members have in fighting sin as a body. Throughout Stephen emphasized that sin is not something we fight in isolation. Rather, God has given his people a church family, and these people, are grace gifts to aid in the pursuit of holiness. While Matthew 18 is typically denoted as a passage on church discipline, Stephen shows that the process outlined in Matthew 18 is emblematic of a much larger biblical framework for communal sanctification found throughout the pages of the Scripture. Listen and be encouraged here. As you have a chance, email Stephen a word of encouragement and prayer for Renewal of Anderson at swatson@renewalanderson.org.